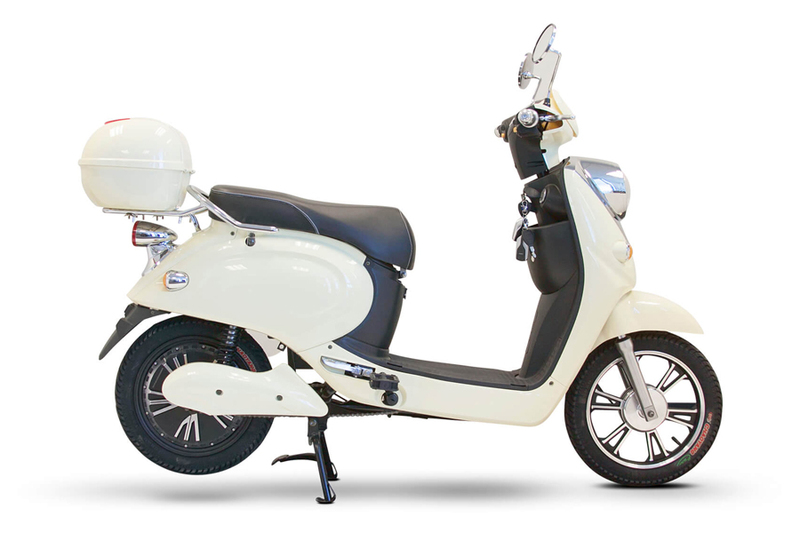 If you’re in the market for an environmentally-sound moped, then the E Wheels (EW-09) Electric Moped E-Bike is the model for you. Joining the movement towards zero carbon and zero emissions need not be a choice between style and safety. This model has it all. Simply plug and ride. It’s that simple. The technology takes care of the rest. 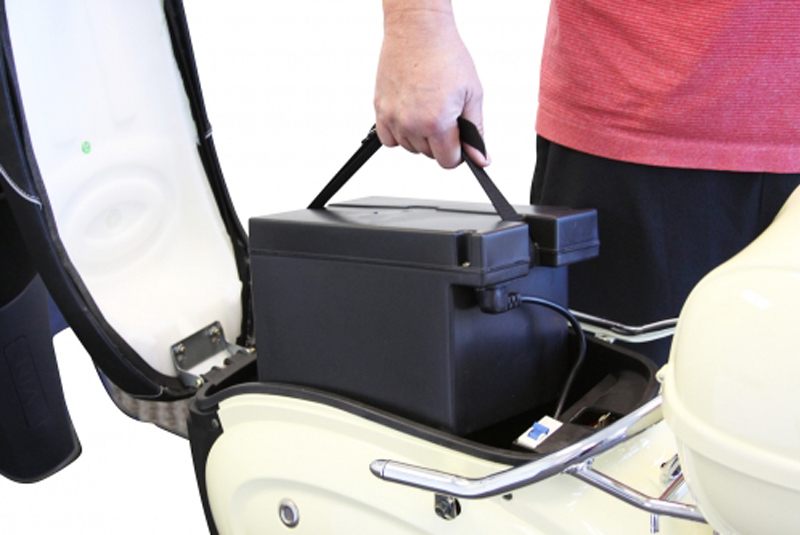 The E Wheels (EW-09) Electric Moped E-Bike is ready to ride. 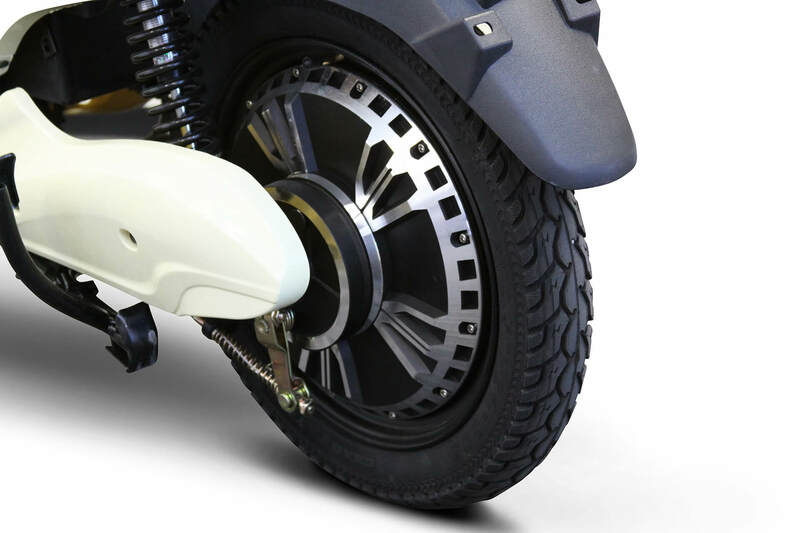 It comes fully assembled and is powered by a 600 watt brushless hub motor with an advanced 48-volt removable lithium-ion battery. 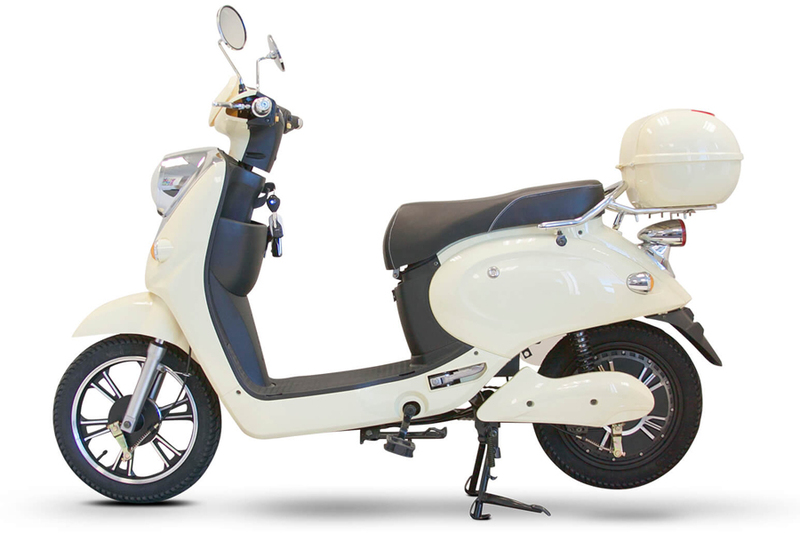 And because this is a moped, this means no lines at the DMV (Department of Motor Vehicles). No license and no registration needed either. Customers love this model’s digitally enhanced LCD display which shows current speed, power left as well as light and blinker status. 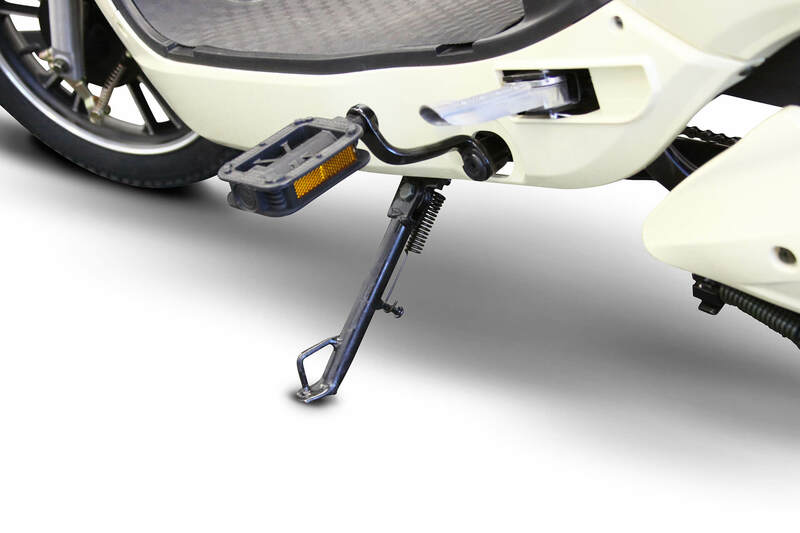 Unlike other mopeds, the battery on this model is lightweight and easy to handle. Simply remove the battery, plug it in and you’re ready to go! Don’t forget your helmet of course. It also gives a lot of power for its size. The 300-lb capacity is legit! Some riders have loaded more but won’t recommend doing so on a daily basis. 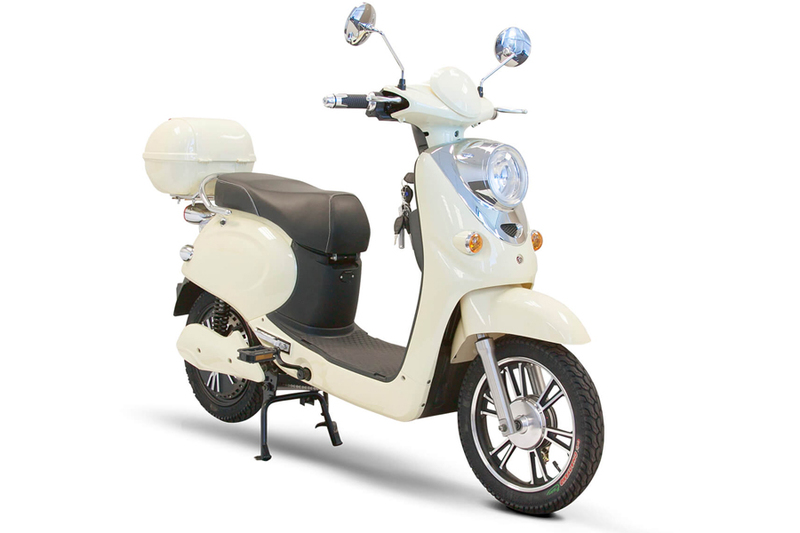 This moped is perfect for running those short errands to the store and those short trips around the neighborhood. 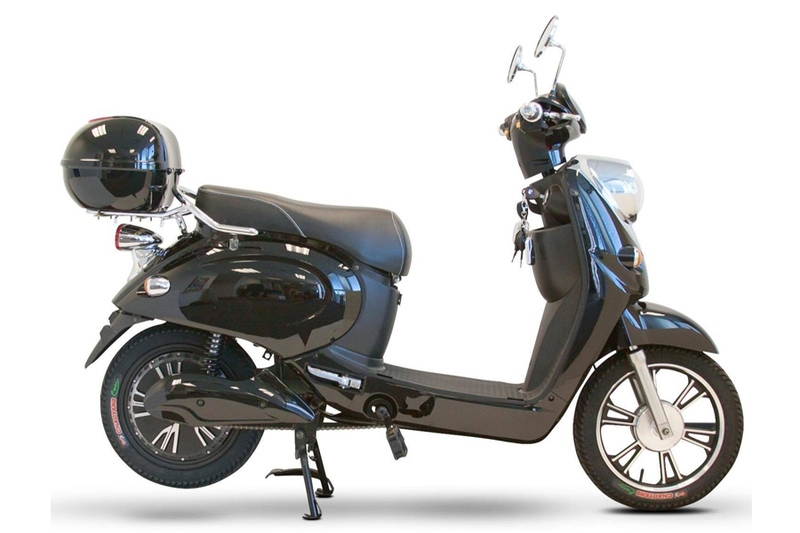 The eco-friendly E Wheels (EW-09) Electric Moped E-Bike lets you ride in style and safety. 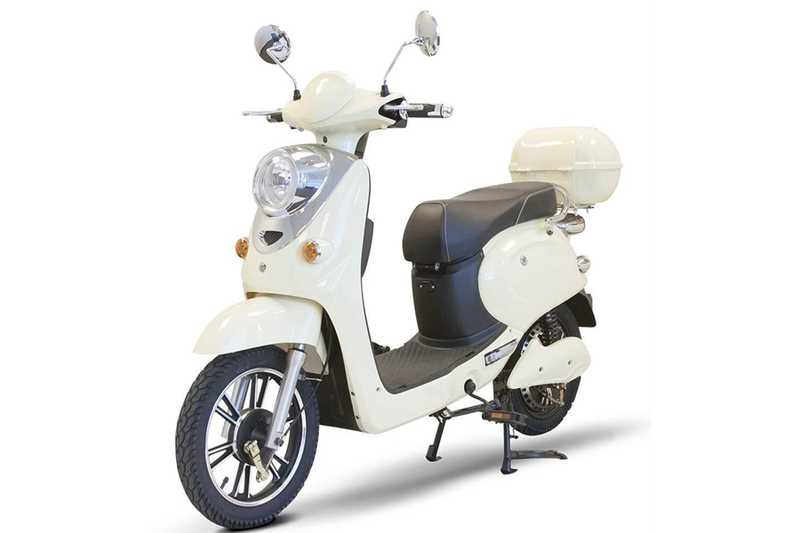 It’s a great moped for those quick trips and errands and is packed with a 25-mileage capacity on just a single charge.